Kale yeah! It’s October 7th folks! You know what that means… don’t you..?? It’s national Kale Day… of course! I’ve been a fan of kale even since way before it was cool. I remember back to my Manchester days circa 2010 when I was already a full blown kale fangirl. I served some kale to my amazing friend Debbie (alongside a roast dinner) and she was like, ‘Mmm what is this? It’s delicious.’ She has been team kale ever since. I’ve got a really exciting recipe for you. 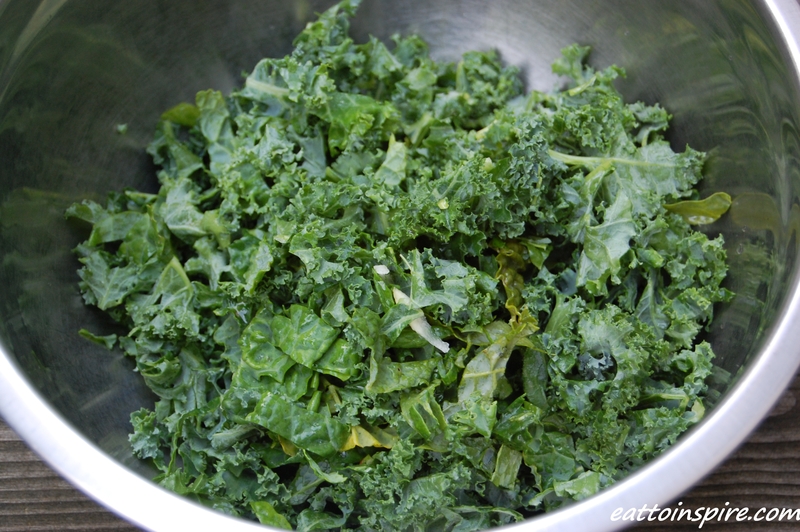 If you love kale, you will love this recipe. 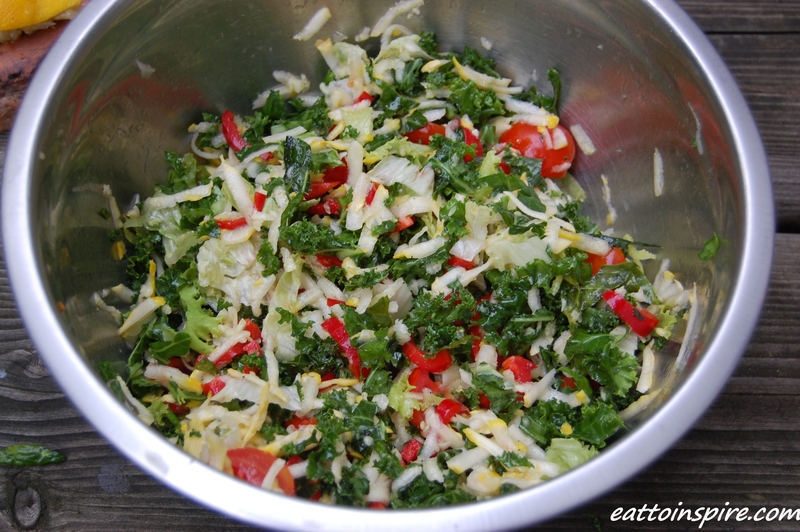 It features raw kale as the salad base, which sounds gross and chewy, right? You need to get to know your kale a little bit better, get it to kick back, relax and enjoy a lemony massage. I’m not joking. 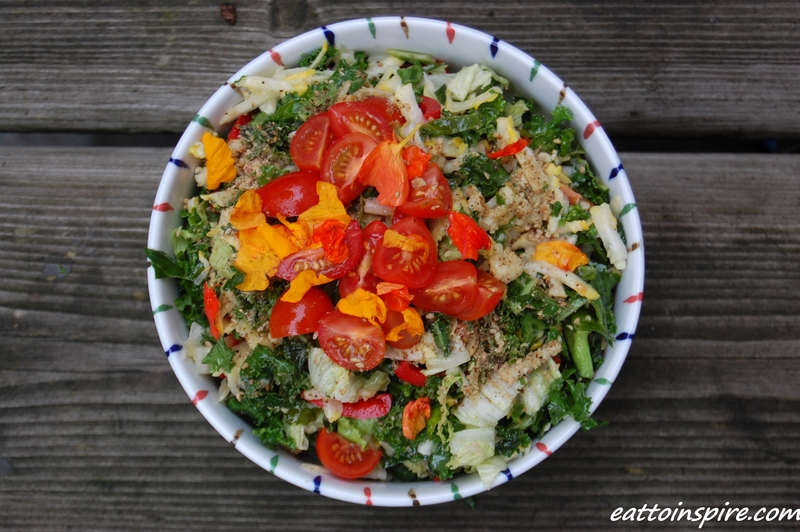 This is a recipe for massaged kale salad. 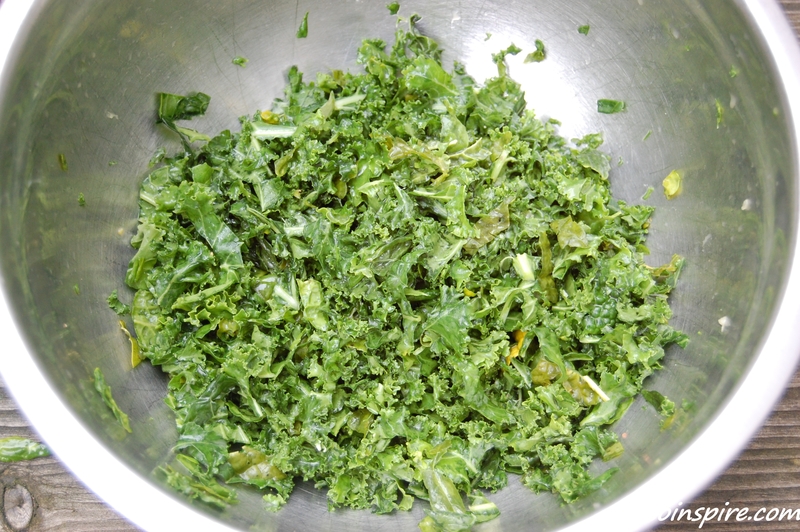 Massaging the kale with lemon juice helps to break down a little of that tough cellulose in the kale and renders it into a wonderful texture that is a delight for the palette. You can thank me later. I’ll give you the ingredients that I used in my salad, but feel free to use whatever floats your boat. The first, most time consuming, and most difficult step of this entire recipe is to take your kale, lemon juice a pinch of S+P and begin the massage. Really make your kale feel special. 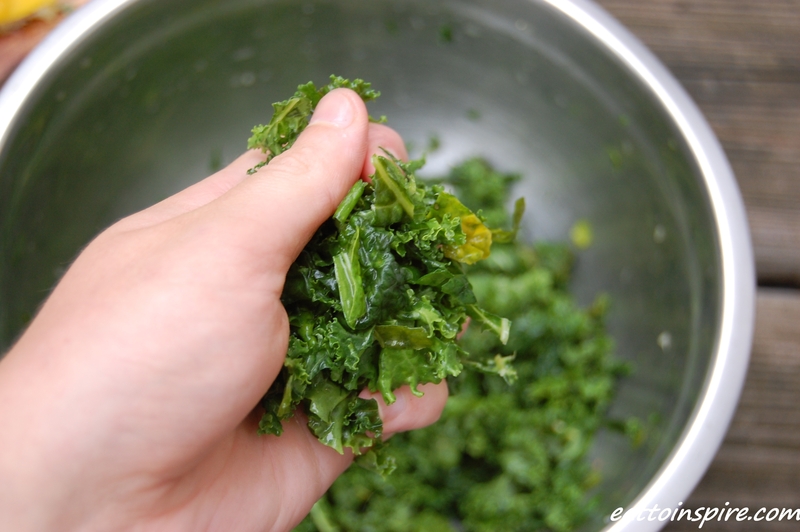 Get your hands in there and massage your kale for 5-10 minutes until the kale shrinks and the texture changes. Feel very single as you realise you enjoy massaging the kale way too much. Chuck everything else in a bowl and mix. 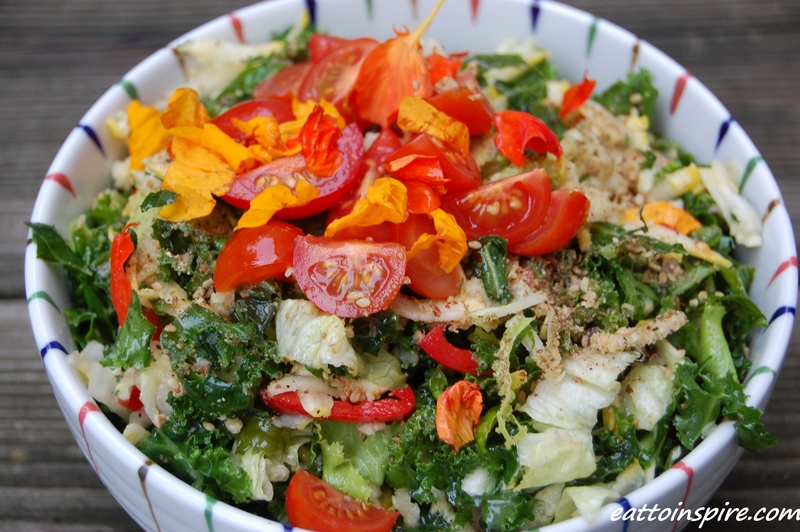 Make it pretty with edible flowers because you are special and you deserve to eat aesthetically pleasing food. Treat yourself to your favourite beverage and enjoy your delicious kale yeah salad. Sprinkle a little dukkah or chopped nuts on top if you’re feeling a little wild. 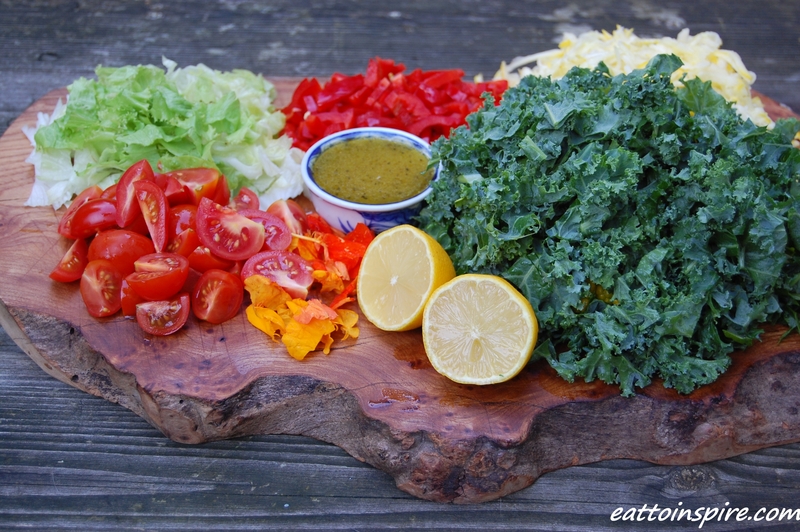 I really hope you enjoy this kale salad. Let me know what you think. Yes, I know I have been away for quite a long time. I’ve been hiking across Scotland and spending time at home. I’ve got lots of posts planned for this month so watch this space (actually though I’ve got lots to share with you).